This week we were lucky enough to get an article written by Jackson Miller over at College Insight Boost. Jackson Miller is an honors graduate from the cold land of Canada. 😀 Over at his blog he shares a ton of inspirational ideas and practical strategies for chasing your dreams. Be sure to go read it after checking out his post here. Below is a list of tips for college which will help you accelerate your productivity, increase your ability to excel in class, develop a more effective mindset, and maintain a healthy state to ensure you enjoy your time at school. These college tips are easily applied to your life, take only a moment to read over, and will lead to massive benefits in your college results. 1. Attend all of your classes and avoid an absence at all costs. We all get sick every once in a while so if you do, make sure you get the notes from someone in the class asap, but make an effort to show up to EVERY class on time, prepared, and focused. 2. Set up a contact from each class to ensure that you have someone to contact if you have any questions about the class, need notes from a lecture, or are going to miss the class. This is also a great icebreaker for getting to know someone to team up with for group assignments. 3. Keep a file folder handy in your room to put all your important papers in, this way you’ll never be scrambling to find lost files because they’re all in one place. 4. Put your phone away during class. If reading that statement made you roll your eyes or clutch your phone a little closer to your chest then you need to change your attitude towards school—and fast. Post-secondary education is a major opportunity that not everyone has available to them and it can set the course for the rest of your life, take advantage of the opportunity you’ve been given and put the phone away to keep your focus on the class. 5. Dress well to class; I don’t mean to dress expensive, you can buy a nice dress shirt for $15 at any clothing store. Make an effort to look professional when you show up to class, this will do two things: it will show the teacher that you respect their class and take the class seriously, and it will also affect the seriousness you have for the class itself. 7. Getting a job while in school can seem daunting sometimes, but it’s highly recommended to keep yourself in a positive financial state in college. I suggest a job on-campus if you can because they care about your education and are more sympathetic to your time off during exams than outside employers are. 8. There are all sorts of clubs at college, take the pamphlet and read up on the options and join a couple! You’ll get to meet people and have a fun break from school every once in a while. 9. Volunteering is extremely beneficial to you and all those involved; you help others and organizations that need the support and you also get to put that volunteer work on your resumé—this is very attractive to employers. 10. Take any opportunities that come your way, even if you think it’s not your forte. Opportunities are everywhere in college and they can set you apart from the group, especially leadership role opportunities—these are great for resumés and learning leadership skills. 11. Choose one thing that resides outside your comfort zone and make a deliberate effort to achieve it. 12. Find out if your teachers have ever published a book, if they have then make sure you read it and then next time you walk into class, comment on the read about a part you genuinely enjoyed or found intriguing. 13. Teachers in college don’t hold your hand. They tell you what chapters to read from the textbook but the majority of classes don’t have assigned homework. Make sure you read the review at the end of each chapter and assign yourself homework questions on each chapter—you didn’t do them for four years of high school for no reason. 14. 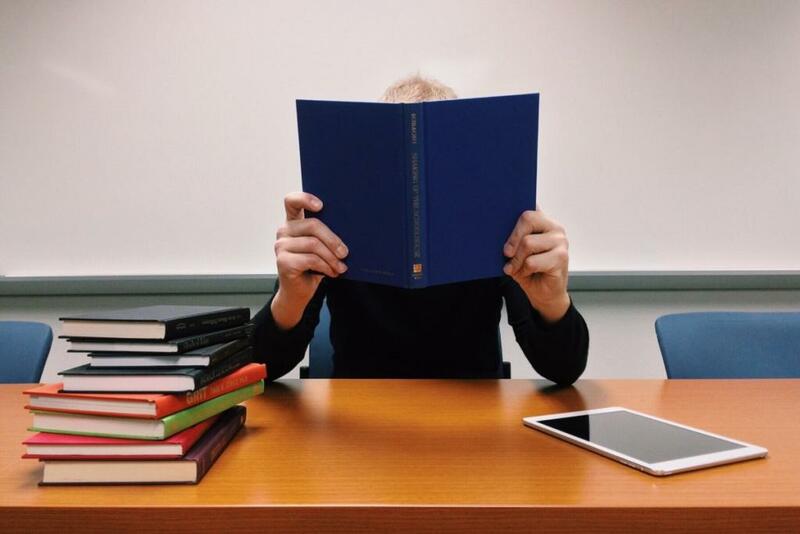 Make use of the plentiful resources on campus, if you can’t find any there is always the library which helps with many academic aspects such as aiding you in properly citing sources in your paper. 15. Take the time every day to do the things you love, you can’t allow school to completely engulf you because then you’ll feel like you’re drowning and you’ll start to resent it. Set aside 30 minutes or an hour to read, write, play guitar, sing, cook, knit, play a sport, master chess, etc. 16. Consciously make an effort to eat healthy each day, this will increase your energy levels, allow you to focus more, keep you less stressed, and get all the other benefits related to school that come out of eating healthy. Knowing how to be healthy while in college is undoubtedly important. 17. Along with eating healthy you should exercise daily to keep your stress levels down and regulate your overall health. For more ways to stay healthy in college, visit The Ultimate College Health Guide. 18. Getting enough sleep in college is so much more important than most students realize or identify. Go here for a complete guide. 19. Learn an abundance of stress-management techniques, understanding your way around stress management in college is unbelievably important. 20. Organization is an essential part of college, without organization you’ll sacrifice a massive amount of your productivity and ultimately leave yourself more stressed than necessary. 21. Set goals for yourself—both short-term goals and long-term—so that you have direction and purpose as you move through college or university. Ensure that you know how to set goals effectively so that this process works best for you. 22. Along with setting goals for yourself, make sure you write your goals down—along with other motivating content—and put it up on your wall to be in front of you every day to read. 23. Be conscious of your spending habits and make an effort to save as much money as you can so your financial status stays healthy. You want to avoid debt in college and graduate debt-free! 24. This last one is the most important in the list without argument and it is this—take the path less traveled by. Robert Frost is an amazing poet and to live by his words of walking the path less traveled by is the smartest, boldest, and greatest decision you’ll make in your whole life. Notice what the crowd seems to be doing regularly and do the opposite; are most people facing their fears or cowering away? Are they stretching themselves or staying the same person for years at a time? Are they venturing outside their comfort zone or staying inside where it’s safe? Are they striving to be successful and believe in themselves beyond comparison, or do they accept the circumstances they are given? Always choose to go down the path less traveled by and you’ll find your life to chance drastically and incomparably. The above college tips are essential to academic success in their own unique way, but essential nonetheless. Implement these tips into your life and you’ll see your college experience grow to be much better than if you didn’t. Keep that fire in your eyes and never stop being the ambitious student you are! College Insight Boost is a website that focuses on helping students improve their academic performance and overall success. We provide productivity tips, study hacks, time-management techniques, health guides, and so many more insights that are crucial to a student’s success in school. If you’re an ambitious student seeking success, this site is for you! Jackson is a college student in Toronto, ON. He loves reading, writing, and improving his skills. He’s an ambitious student hungry for success both during and after school. To read all the improvement techniques and college tips he provides for fellow students, visit College Insight Boost.